This coming Saturday 3th November at Le Noir KL rooftop. More House. More Techno. More Chemistry. 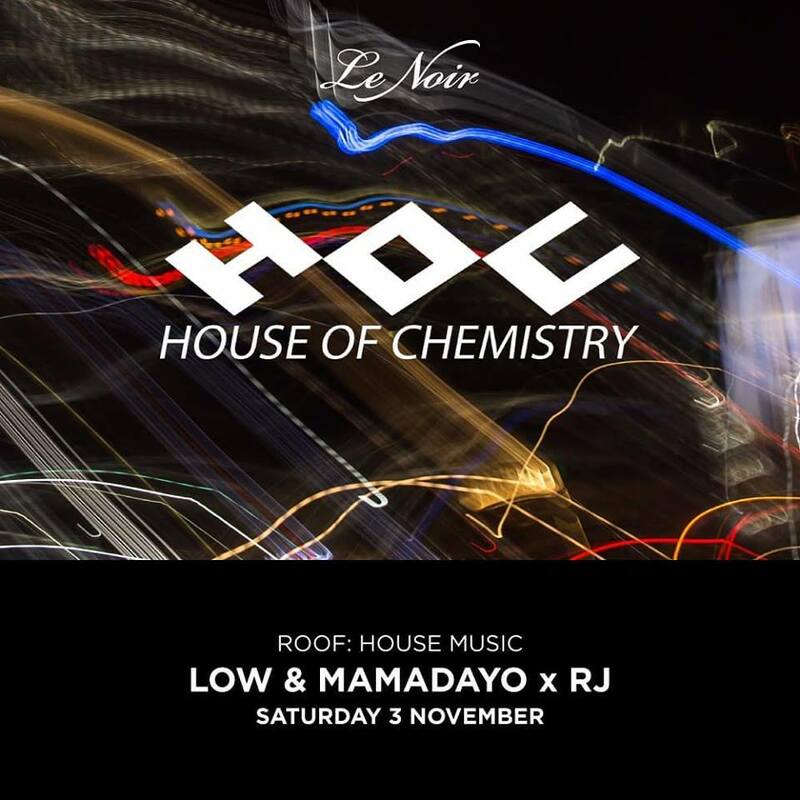 HOC – House Of Chemistry with RJ , Low & MamaDayo. Free entry before 1am. Come early!